We dig a little further on the Object Storage Market research paper rom IDC that we touched on last week. Where TheRegister found that EMC’s presence was shrinking, this apparently is caused by the fact that IDC only allows one product per research category and EMC chose to switch the focus from Atmos to ECS. Follow up article 1 and article 2. Speaking of EMC, apparently Eliott Management, the aggressive investment company that wants to split up the Federation, has now kissed and made up with Joe Tucci (for a while). The mainframe is back! 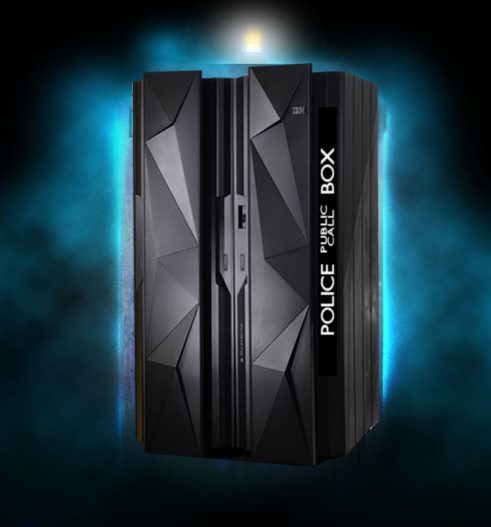 IBM has build a new beast (Z13) that either looks as a black Tardis or a portal to the dark ages. We get a heavy discussion with loads of different (opposite) opinions here. Is this going to be the ultimate HyperConverged Mainframe? Definitely something to follow! Following up in mergers & acquisitions we see two new rounds of fundings coming into the NoSQL companies Basho & MongoDB. Why are these types of databases so popular and are they eating at Oracle’s market share? This week at Citrix Summit the company announced the acquisition of distributed storage player Sanbolic. It’s fair to say that no-one really saw that coming and that all hosts this week had second thoughts if Citrix even understands storage enough to pull this off. A final news item in this area is NexGen storage being spun-off from SanDisk, that in itself got it through the FusionIO acquisition. Although these are not people that are new to the market (founded Lefhand before) or a new product (same product since 2008), Marc and Gabriel don’t see a fortunate future in this overly saturated market.